Finally! 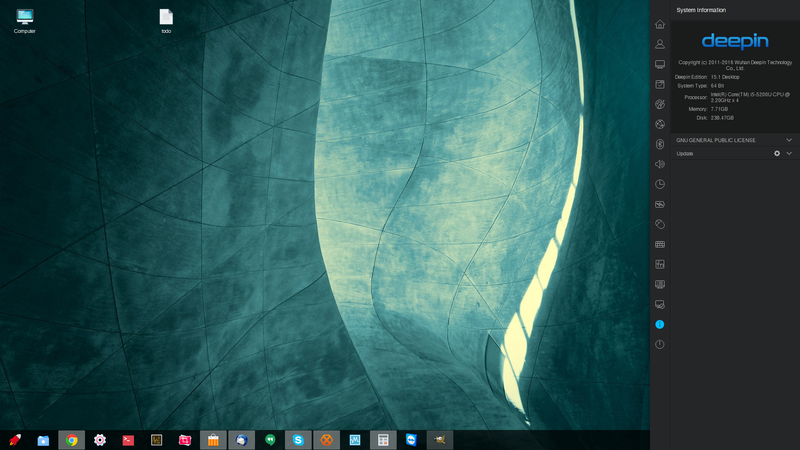 I found *the* OS for my Dell XPS-13: Deepin 15. Since I moved away from Windows I have been testing several different OSes, and I all of them had some issues. Up until a few days ago I used Ubuntu Mate 15.10 and was quite happy with it. But it had some minor issues like Compiz that didn’t work properly, and when I was streaming online content the screen didn’t respond as it should. Also, I had to set my disks to AHCI mode in BIOS just to get UEFI to work. But the last thing that happened (the whole screen freezed and I couldn’t see or do anything) made me search for a new OS. As I’m a member of Linux Heads on Facebook I asked the guys there what OS they preferred and one guy told me about Deepin 15 that was just released. I had my doubts, but as my laptop was messed up anyway I figured I could give it a try. I must say I became amazed! The installation was a no brainer, I just downloaded the ISO onto a USB stick with the Deepin Boot Maker, booted from it and the installation was done in like 10 minutes. EFI was working out of the box, and I didn’t have to do any configuration at all like on previous installations of Linux on my XPS-13. Other than that, I was a bit nervous about that the drivers shouldn’t work, or that they were missing – but no, all the drivers worked and existed from start. No need to Google around for hours trying to find drivers that work. 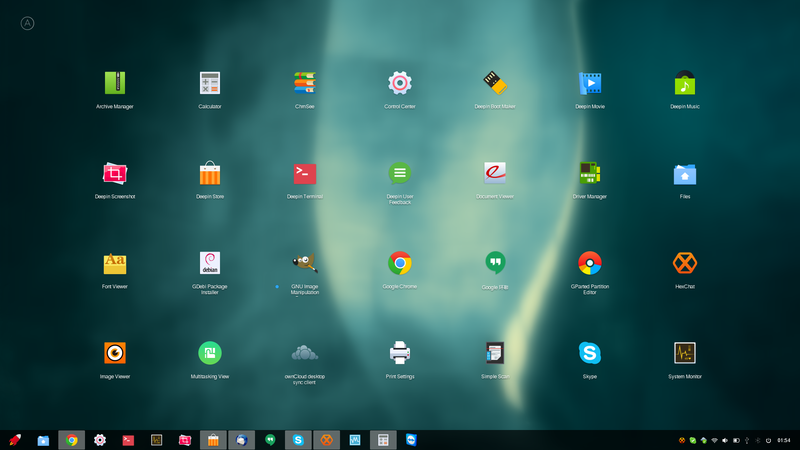 I really recommend Deepin 15. It comes with all the drivers needed for the Dell XPS-13, and is very customizable. You can really make it your own, and there are no hazzle with the installation or anything like that. The problems reported on the Debian wiki are not present, Wifi works, bluetooth works, graphics work, and yeah everything just works! The only flaw I f have stumbled on so far is a font called Fira Sans that aren’t working on Chrome, but that’s a Chrome issue and has nothing to do with Deepin afaik. Also, the XPS-13 comes with Ubuntu as standard on their Development model, and if you are used to Ubuntu, you will have no issues at all managing this OS as the commands are 99% the same as Ubuntu is built on Debian. The lag that the guy talks about in the youtube video are not existing on the XPS-13. Everything runs very smooth, and the previous issues that I had on Ubuntu Mate with the laggy online streaming of videos is gone on Deepin. Even though it’s based on Debian unstable, I would still consider it stable, I haven’t run into any issues so far. Another thing I would recomend is to change mirrors as the default mirrors are very slow. 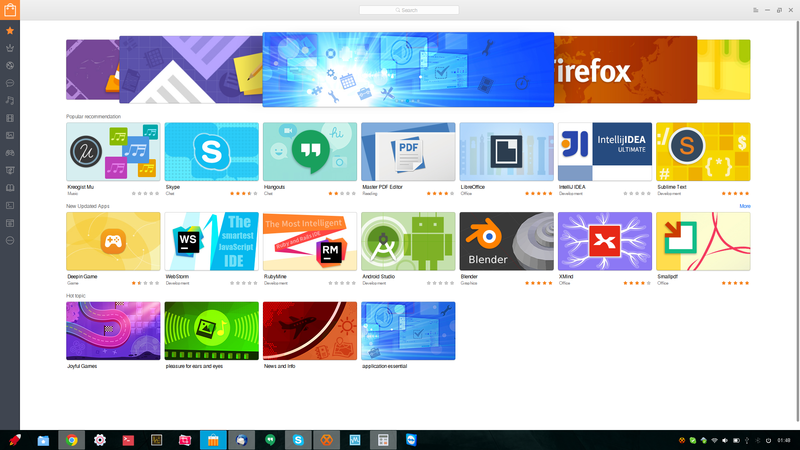 Just go to the Deepin Mirrors list and choose the mirror you prefer and add it to your /etc/apt/sources.list. Don’t forget to hash out the default deb.